After looking at our internal training, we wanted to take a deeper look at how IQ Group consultants use learning and development opportunities to build and grow knowledge for our customers. Leanne Marmara is a senior consultant with IQ Group and is an experienced L&D specialist that has worked across several industries. Leanne has a passion for facilitating and presenting training that engages participants and makes learning memorable. We asked her about her experiences. 1.What is your personal approach to learning? 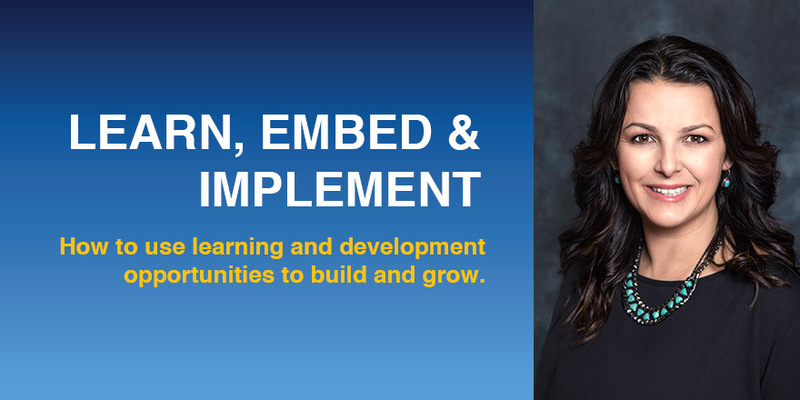 Learn, Embed and Implement. You can learn, read and gain access to an infinite amount of information however it’s the learnings that allows practical application that has the most impact. I always try to look at how I can embed the message/information and how I will implement it e.g. what current projects could use this, or how could I do this day to day? 2.Can you share a training experience at a client or internally, where you have seen the learning put into practice successfully? Yes, at my current assignment with REST I have trained and implemented an education framework. Often training is an afterthought to process change. However this framework has prompted the business to think about process change differently and the impact it has on roles, products, existing procedures as well as the communication, training and change that needs to support it. I have developed a traceability matrix that serves as a Training Needs Analysis for the complete business process review. I’ve also introduced and trained a new learning tool that has been used for vendor training and that can now be developed in-house. The session was titled Are you business ready? It addressed the differences between Change Management and Business Readiness. The takeaways were practical tools and tips to ensure your project is business ready. This forum was also an opportunity for Project Managers to share their pain points and experiences. Many projects are not assigned a dedicated Change or Training resource so it’s imperative to understand what needs to be done and how to engage your project team and the business to undertake critical change activities to get business ready! 4.Why are you passionate about teaching others? I love to share knowledge and believe people perform better when they have the support and training they need to succeed. It’s always an opportunity for me to grow and learn whilst teaching others, by seeing things from their perspectives with their experience. It’s very rewarding seeing people grow and develop after training. Many adults had bad experiences in school as children so making learning fun, and enjoyable is a great gift to be able to share.